This was the pronouncement of both Paranaque City and Barangay Ayala Alabang in the wake of reports that MMDA will be scrapping all window hours of the Number Coding Scheme in all cities. Not yet implemented though as MMDA will still have to get the approval and sign-offs of all Metro Manila mayors, it was announced last week that the traffic agency will be removing all window hours in all cities to further improve traffic in the city. Asked by Alabang Bulletin today, both Barangay Ayala Alabang and Paranaque City said their window hours will stay in effect. This was confirmed in a text message by Paranaque Public Information Office chief Mar Jimenez. For Barangay Ayala Alabang, Commerce Ave. will still implement the Window Hours of 9am to 4pm, as confirmed by barangay chairman Ruben Baes. 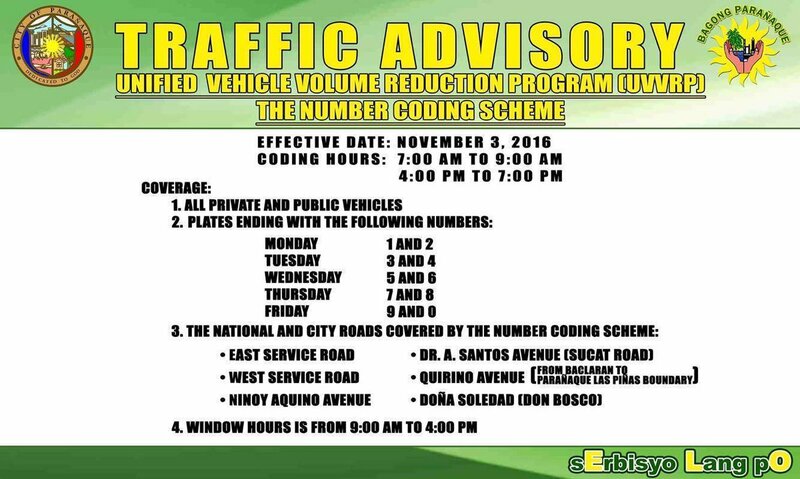 Click here for more information about their Number Coding Scheme. 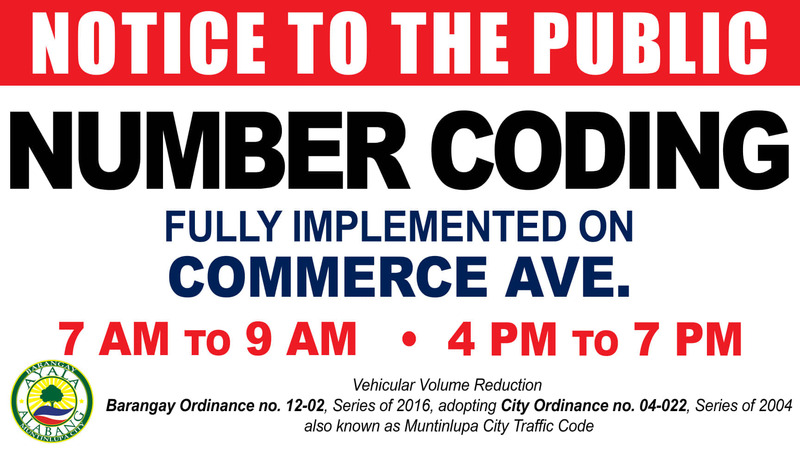 In Muntinlupa, only Commerce Ave. and Alabang-Zapote portions employ the Number Coding Scheme. Alabang-Zapote Road will still have a No Window Hours policy, both for Muntinlupa and Las Pinas. Let us see if there will be changes once the LGU leaders give their sign-offs but for now, the Window Hours for both Paranaque City and Commerce Ave. will remain. i just show this article to MMDA FB page and they said this is not legit. We talked to Barangay Ayala Alabang and Paranaque Public Information Office and confirmed this.